Fasting has been a hot topic around the health community as of late and for good reason. More and more research has emerged which show just how healing fasting can be for our mind, body and spirit. To some this concept may sound completely erroneous as most of us have been taught since a very young age that not only do we need to eat to survive, but that we need to eat three meals a day. The concept of going without food and in some cases, water, goes against our beliefs, however if we begin to look at this topic from a perspective of how our ancestors ate, this certainly begins to make more sense. For thousands of years, our ancestors only ate food intermittently, when there was food available to eat. They would often go days at a time with no food at all. Nowadays, we can find food at just about every corner. We can find fast, cheap and nutritionally deficient food at our fingertips. If you live in a city, it is likely that you can have food delivered to your door. It is flaunted in our face at all times, one might wonder, so why wouldn’t I eat it if it’s available? Mark Mattson, a neuroscientist at the National Institute on Aging and professor at John Hopkins University says that for optimal health our bodies need to have occasional breaks from eating. “It’s been known for a long time that one way to extend the lifespan of laboratory animals is simply to reduce their [calorie] intake,” he says. The lifespan of lab rats has been increased by up to 40 percent by feeding them less. Mattson suggests humans could do the same by adopting a lifestyle of intermittent fasting. “We started looking at the effects of energy restriction on the brain in the context of age-related neuro-degenerative disorders and found we could slow down … Alzheimer’s and Parkinson’s,” Mattson said. Like vigorous exercise, intermittent fasting promotes neuron growth, strengthens synapses and increases production of new nerve cells. Fasting also increases the number of mitochondria in nerve cells, which improves cognition, memory and mood, and increases the ability of nerve cells to repair DNA, he says. When you burn fats you produce ketone bodies, which are very good for your brain, he says. 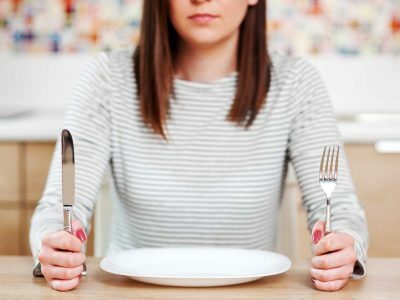 According to Mattson, there are two basic ways to experience the benefits of calorie restriction, to either eat less for each meal or reduce the frequency of meals, such as with intermittent fasting. Water only fasts involve two to three days a month of 2 weeks a year. Alternate day fasting, less than 600 calories or no food every other day. A 5:2 diet, eating normally 5 days a week and less than 600 calories during the other two days. Time restricted fasting daily, food is only consumed during a 4-8 hour window. There are also longer more extensive fasts that can be taken, these are especially beneficial if you are suffering from chronic illness, digestive health disorders, fatigue, and a whole variety of other ailments. Last summer I did a 21 day Master Fast, which involved consuming nothing but grape juice, herbal tea and tinctures, and a psyillium husk pudding. This fast also included dry fasting, where nothing at all would be consumed for a minimum of 24 hours per week and daily enemas. I am aware of how extreme this may sound, but this fast helped me to heal my candida and digestive health issues. There is so much more to fasting than simply not eating. Many of us are completely unaware of just how addicted to eating we all are. It’s difficult to actually recognize this addiction until we go without food, in doing so, alot of emotions come up and normally, most of the time without even realizing it we escape by eating. When you fast, you essentially have nowhere to turn, no escapes, nothing but you and yourself. This provides an excellent opportunity to really sit with your emotions and process them accordingly rather than running to the comfort of food to make us feel better. Various religions around the world have included fasting in their scriptures and have done so for thousands of years. Fasting is really an ancient process and has many spiritual levels to it.